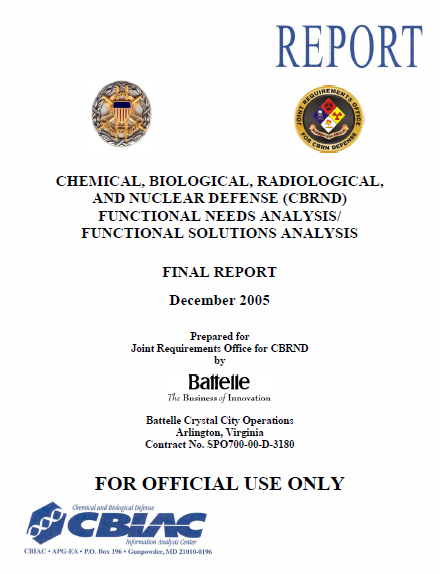 This document presents the results of the Functional Needs Analysis/Functional Solutions Analysis (FNA/FSA) for the functional area of chemical, biological, radiological, and nuclear defense (CBRND). 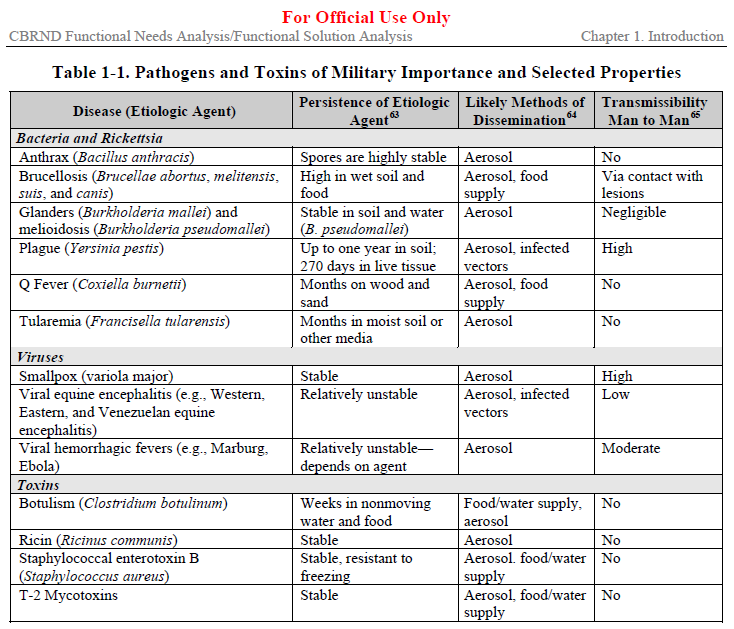 The FNA/FSA are structured in accordance with the Chairman of the Joint Chief of Staff Instruction (CJCSI) 3170.01D, Joint Capabilities Integration and Development System (JCIDS), and its companion manual, CJCSM 3170.01A, Operation of the Joint Capabilities Integration and Development System. The JCIDS analysis process is composed of a structured, four-step methodology that defines functional tasks, capabilities to perform the tasks, capability gaps, and potential non-materiel and materiel solutions. Based on national defense policy and centered on a common joint warfighting construct, the analyses initiate the formal development of integrated joint capabilities, to include the identification and justification of requirements necessary to initiate development and acquisition. 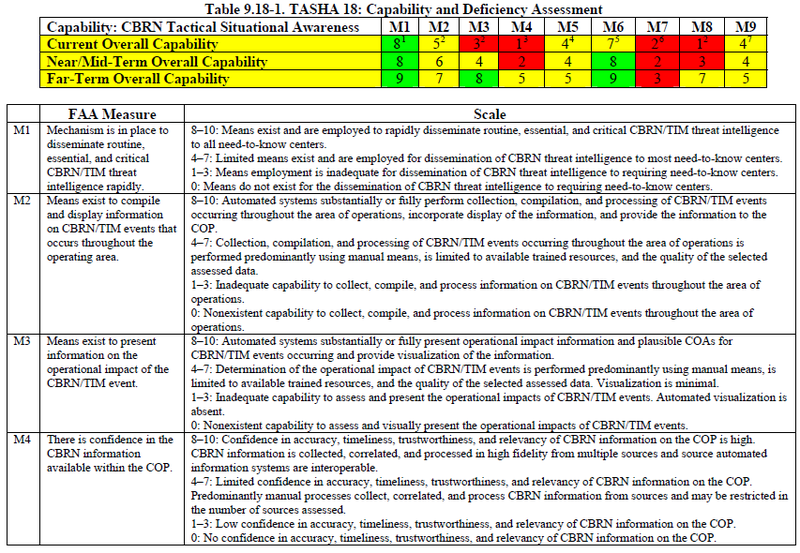 The requirements are derived from an analysis of existing joint force operations and include doctrine, organization, training, materiel, leadership and education, personnel, and facilities (DOTMLPF) capabilities and deficiencies.